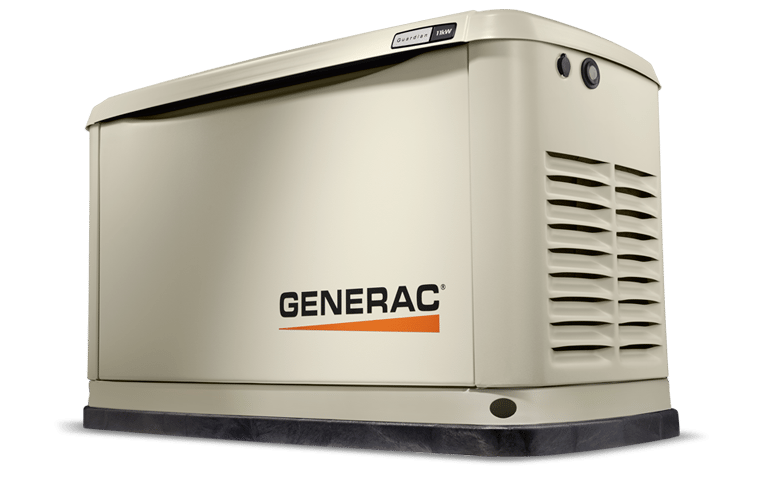 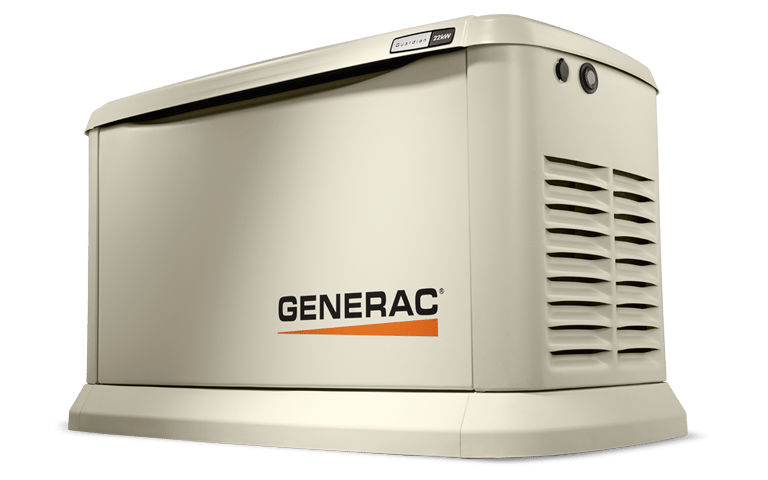 A Generac standby generator protects your home our business. Our generators run on either natural gas or liquid propane, and sit outside your building similarly to an air conditioning unit. 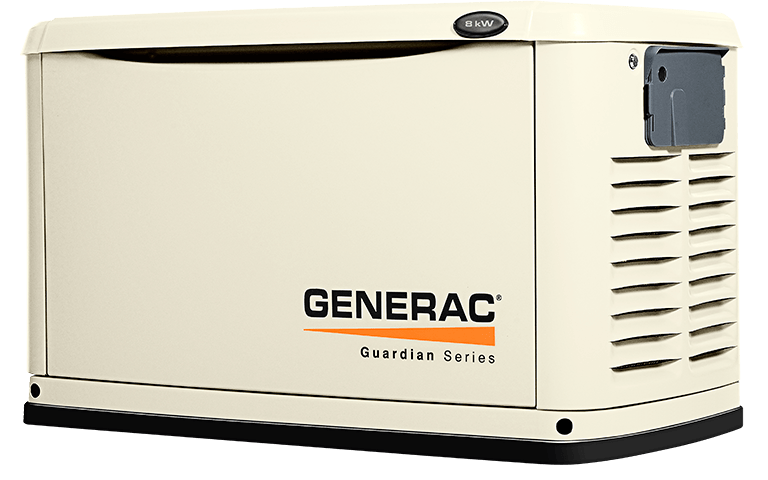 A backup generator delivers power directly to your building’s electrical system, providing power to essential areas and appliances, or even the entire house or office in the event of a storm, construction, or other disrupting event! 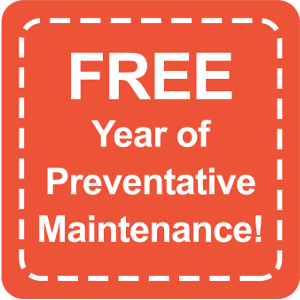 You don’t have to worry about being there to start and stop your Generac backup generator. 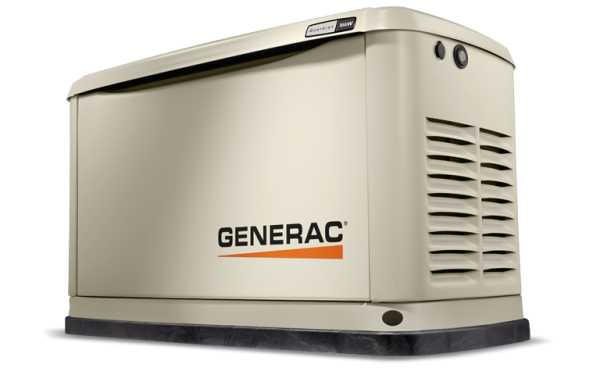 Standby generators are able to start and stop automatically as needed! 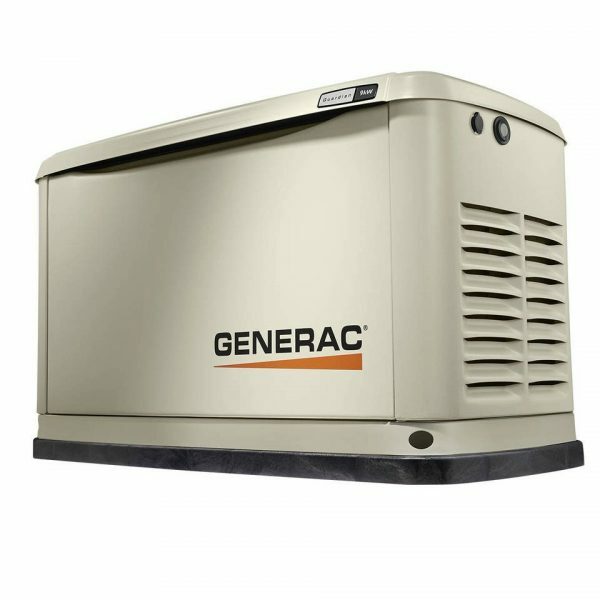 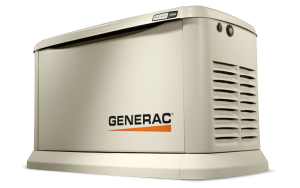 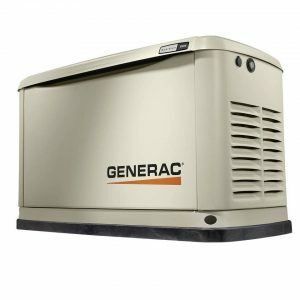 Your Generac generator runs on your existing natural gas or liquid propane fuel supply. There are no need for extension cords with a standby generator from Generac. Your Generac backup generator safely delivers power right to your electrical panel. 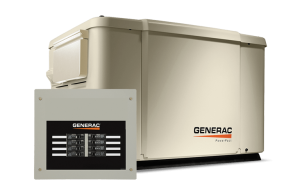 Based on the unit installed, emergency power can be supplied to some or all of your residence of place of business. THE #1 SELLING BRAND OF HOME BACKUP GENERATORS. 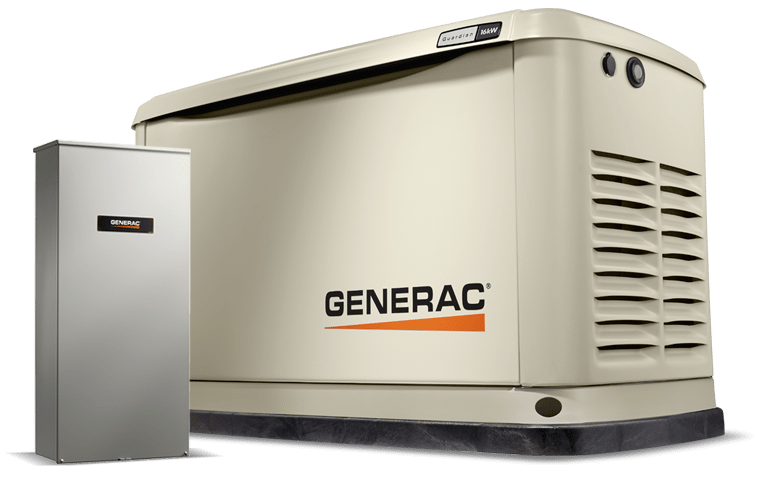 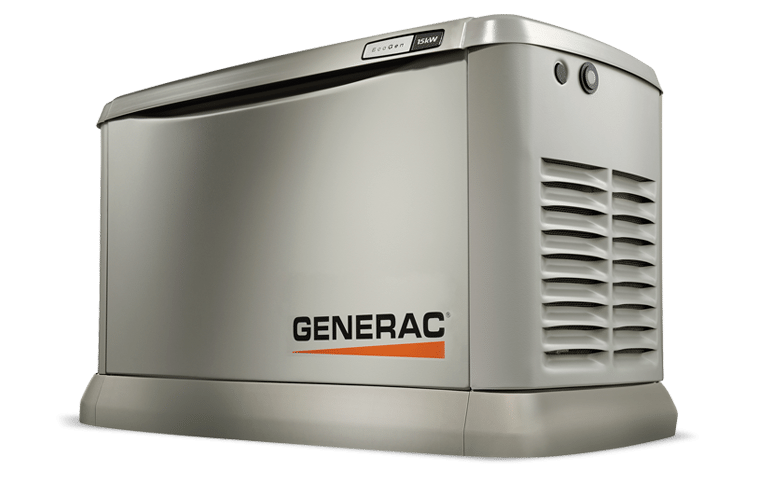 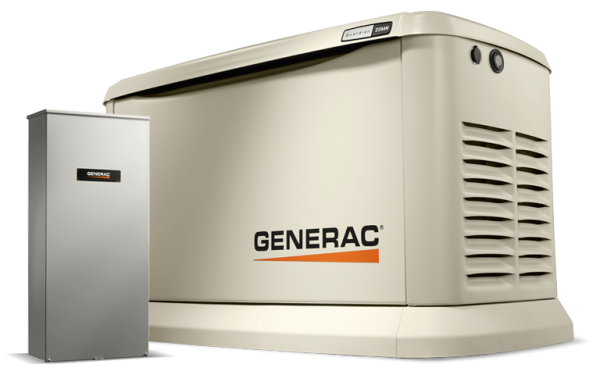 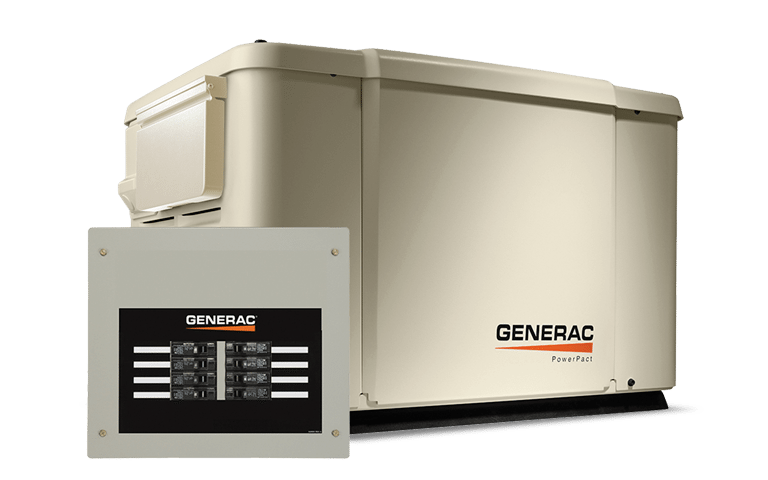 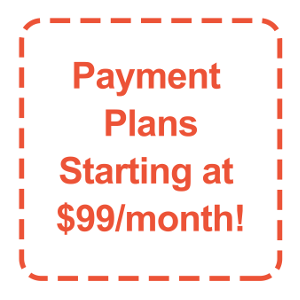 Generac automatic home backup generators are permanently installed. 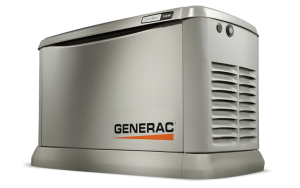 Automatically deliver power during an outage. 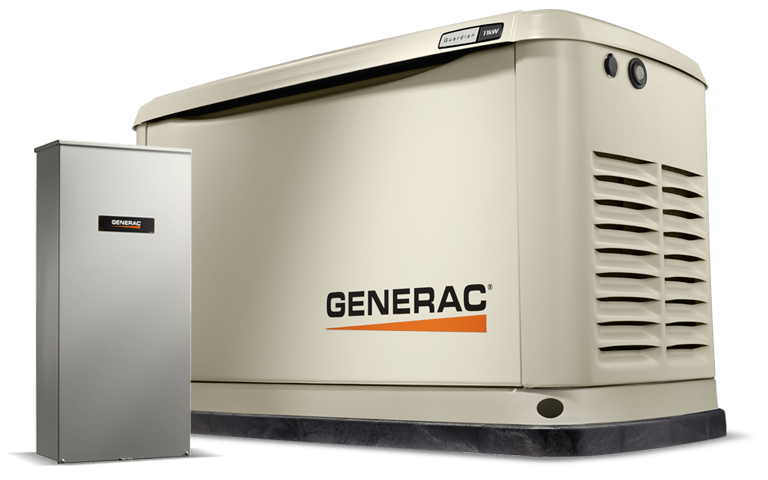 Can back up your entire home if you choose. 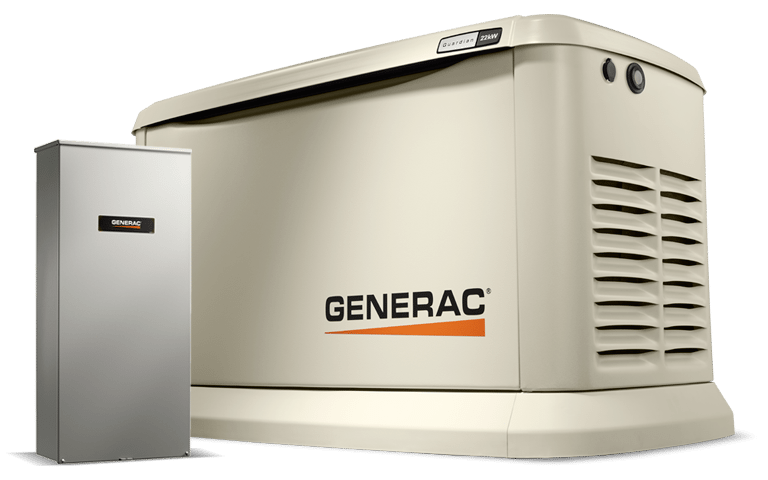 And are the preferred brand of homeowners who invest in home backup power. 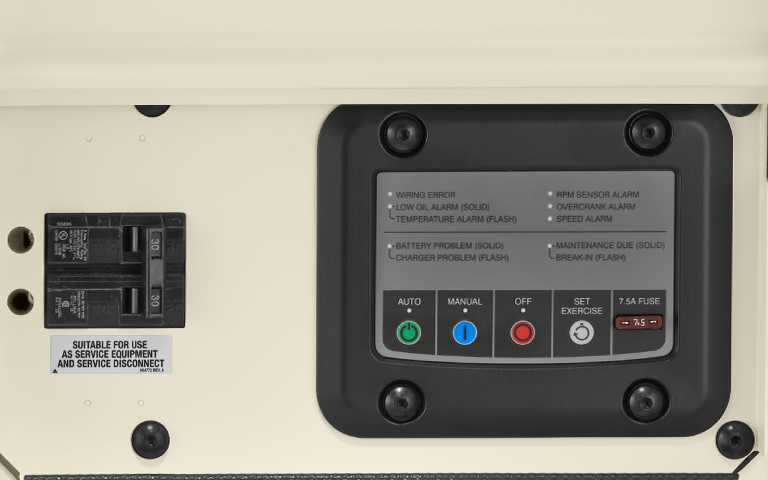 PROTECT YOUR BOTTOM LINE. 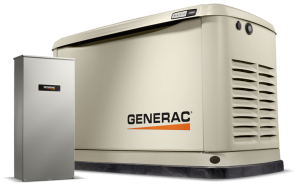 GAIN A COMPETITIVE EDGE. 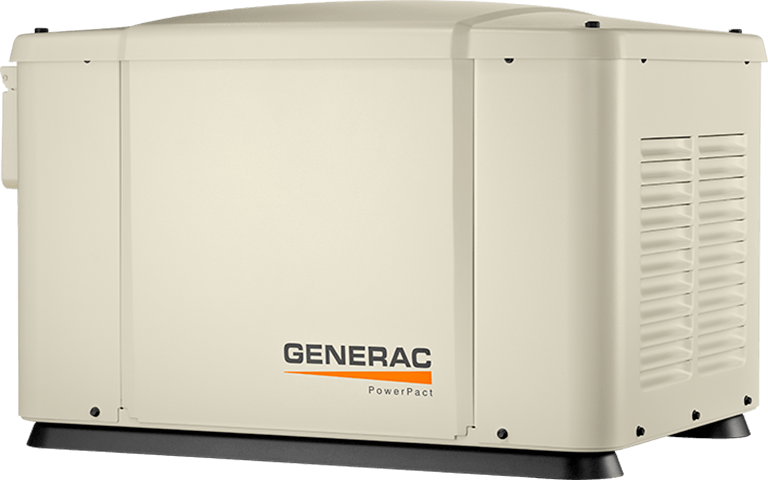 Whether a power failure is simply not an option, or you just want an advantage over your competitors during a power outage, Generac standby generators make sure you’re open for business during a power outage. 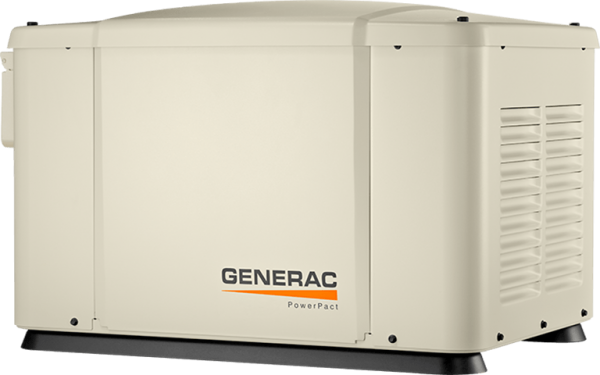 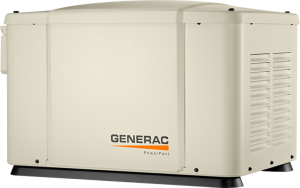 Generac’s 7 kW PowerPact™ home standby generator is the affordable, automatic alternative to portable backup power. 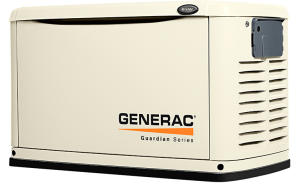 Features incorporate many of the qualities and reliability of the best selling Guardian Series, while remaining the most affordable home standby generator available. 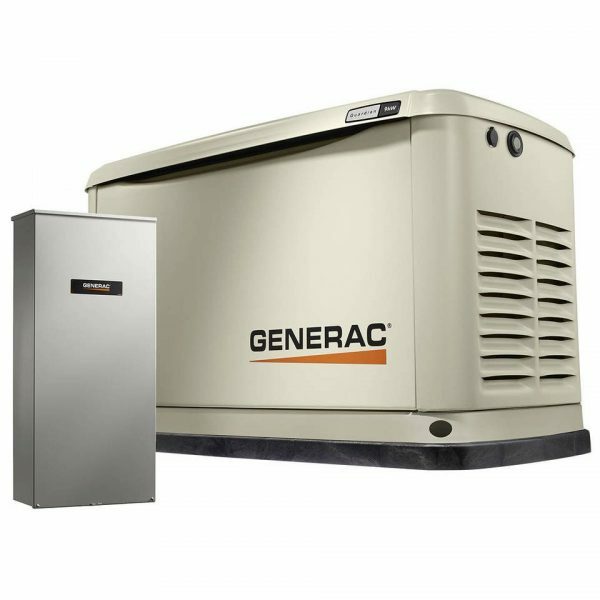 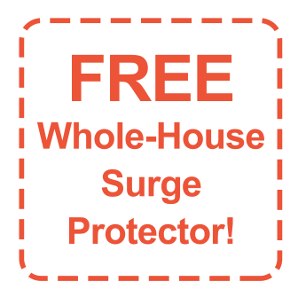 Significantly quieter than a portable generator, it protects the home’s most essential circuits, like refrigerators, well pumps and select appliances, without having to manually set up during inclement weather, refuel, or run electrical cords. 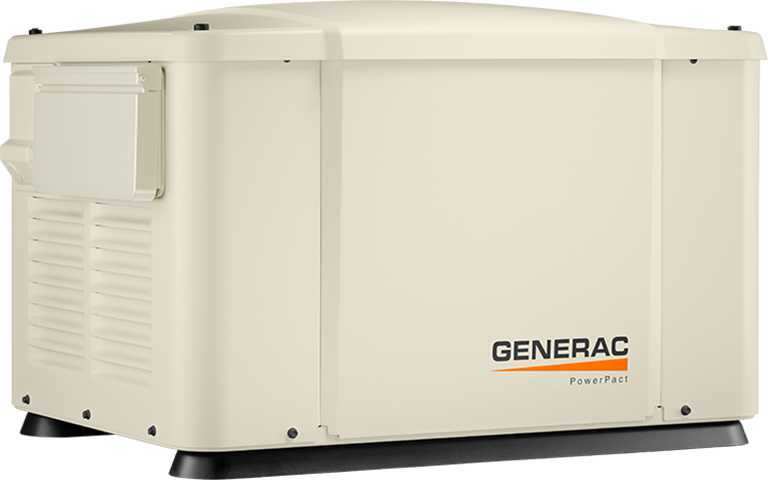 INNOVATIVE DESIGN & PROTOTYPE TESTING are key components of Generac’s success in “IMPROVING POWER BY DESIGN.” But it doesn’t stop there. Total commitment to component testing, reliability testing, environmental testing, destruction and life testing, allows you to choose Generac with the confidence that these systems will provide superior performance. 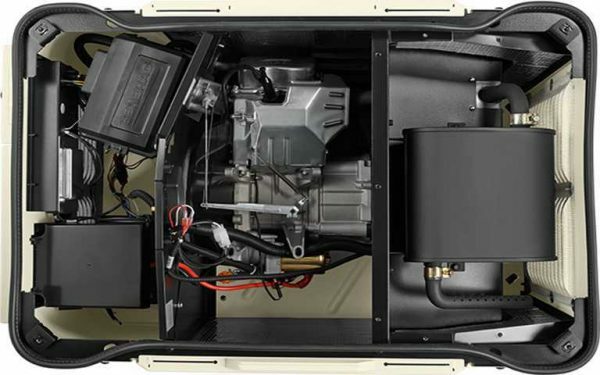 Capable of backing up a five ton air conditioner! 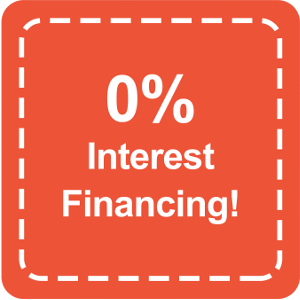 This state-of-the-art power maximizing regulation system is standard on all Generac models. It provides optimized FAST RESPONSE to changing load conditions and MAXIMUM MOTOR STARTING CAPABILITY by electronically torque-matching the surge loads to the engine. 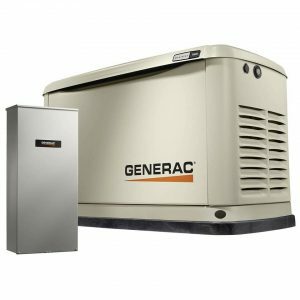 Whether the off-grid lifestyle is a choice or a necessity, you are responsible for producing the energy you consume – even when there’s no sun or wind. 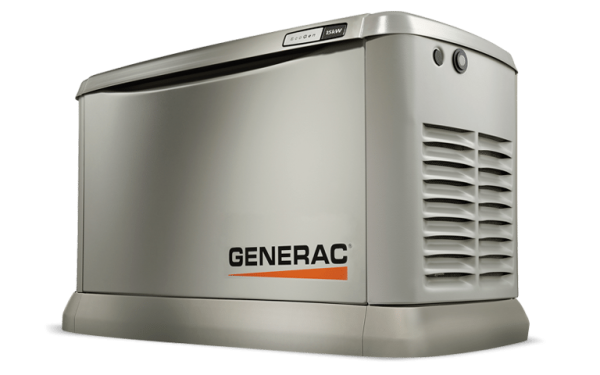 Ensure you never have dead batteries with the Generac EcoGen–the only automatic standby generator designed and warrantied specifically for off-grid use with an alternative energy system.